These books mainly focuses on cultural evolution, conceptual history and epistemology, using language as a dominant tool. We approach and produce cultural analysis by paying attention to theoretical categories, and historiographical and philosophical issues connected with Latin American Studies, and considering the latest as a conceptual construction. 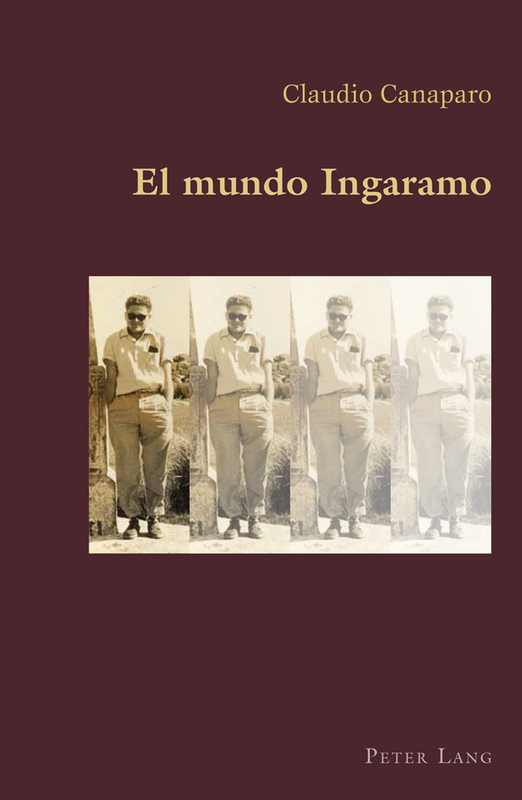 El mundo Ingaramo, Bern: Peter Lang, 2015, 162 pp. (22.5 cm x 14.9 cm, ISBN 978-3-0343-1910-2). 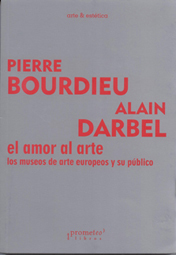 (Critical edition) Pierre Bourdieu/Alain Darbel. El amor al arte. Los museos de arte europeos y su público, Buenos Aires: Prometeo, 2013, 316 pp. 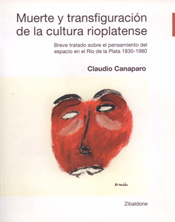 (21.0 cm x 15.0 cm, ISBN: 978-987-574-571-1). 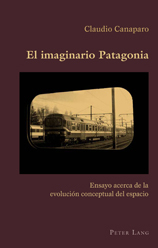 El imaginario Patagonia. Ensayo acerca de la evolución conceptual del espacio, Bern: Peter Lang, 2011, 595 pp. (22.5 cm x 14.9 cm, ISBN 978-3-0343-0287-6). Geo-epistemology. 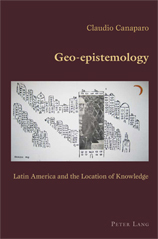 Latin America and the Location of Knowledge, Bern: Peter Lang, 2009, 400 pp. (22.5 cm x 14.9 cm, ISBN 978-3-03911-573-0). 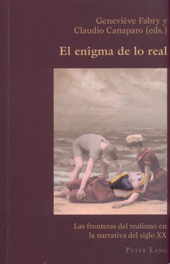 (with Geneviève Fabry) El enigma de lo real, Bern: Peter Lang, 2007, 275 pp. (22.4 cm x 14.8 cm, ISBN 978-3-03910-893-0). 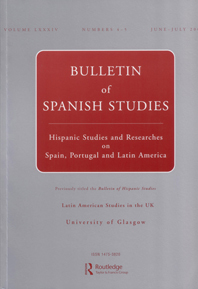 (Co-authored with Luis Rebaza-Soraluz and William Rowe) Latin American Studies in the UK, Bulletin of Spanish Studies, Special Issue, volume LXXXIV, Numbers 4-5, June-July 2007, pp. 441-676 (17.4 cm x 24.8 cm, ISSN 1475-3820). Muerte y transfiguración de la cultura rioplatense. Breve tratado sobre el pensamiento del espacio en el Río de la Plata, Buenos Aires: Zibaldone Editores, 2005, 480 pp. 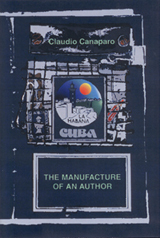 (19.4 cm x 16.5 cm, ISBN 987-98184-6-6). Ciencia y escritura. Una historia retórica e intelectual de Nature 1869-1999. 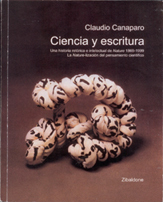 La Nature-lización del pensamiento científico, Buenos Aires: Zibaldone Editores, 2003, 1236 pp. + CD-ROM (21.4 cm x 17.2 cm, ISBN 987-98184-2-3). (Critical edition) Álvaro Mutis. Abdul Bashur, soñador de navíos, Madrid: Cátedra, 2003, 316 pp. (18.0 cm x 11.0 cm, ISBN: 84-376-2071-6). El perlonghear. Postulados de un pensamiento posracionalista, Buenos Aires: Zibaldone Universidad, 2001, 140 pp. (20.0 cm x 14.1 cm, ISBN 987-981-84-5-5). 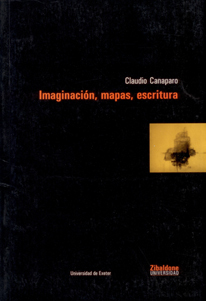 Imaginación, mapas, escritura. Noción de espacio y perspectiva cognitiva, Buenos Aires: Zibaldone Universidad, 2000, 182 pp. (21.8 cm x 14.9 cm, ISBN 987-981-84-0-7). 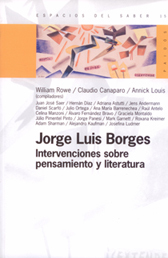 (with Annick Louis and William Rowe) Jorge Luis Borges. 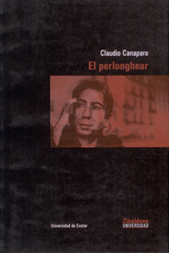 Intervenciones sobre pensamiento y literatura, Barcelona/Buenos Aires: Paidós, 2000, 303 pp. (23.9 cm x 15.5 cm, ISBN 950-12-6515-3). El artificio como cuestión. 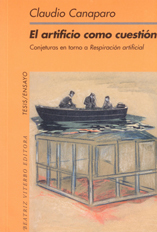 Conjeturas en torno a Respiración artificial, Rosario (Argentina): Beatriz Viterbo Editora, 1998, 94 pp. (19.8 cm x 13.9 cm, ISBN 950-845-073-8). As part of a practical development of the theories postulated on Geo-epistemology. Latin America and the Location of Knowledge (2009) a new monograph will be published during 2011 under the title of El imaginario Patagonia. Ensayo acerca de la evolución conceptual del espacio. Starting from the concept of space as a main speculative tool, we are trying to develop a new perspective about the meaning of colonialism or, more precisely, about the consequence of constructing an environment outside the territories considered as 'central'. The project is called La emancipación intelectual and is divided in three volumes. The first volumen is dedicated to the idea of travel, the second is focused on the notion of vision and the third on the concept of authorship. It will be publish in Castillian at the end of 2010. From 2007 the German-Swiss editor Peter Lang establish a new Series dedicated to the Hispanic World. The new series was called Hispanic Studies: Culture and Ideas and is publishing around 7 titles a year. One of our current projects approaches the history of ideas in Latin America from the perspective of conceptual evolution, instead than within the context of the history of European philosophy as was the case in Latin America in the last two centuries.